Ebay’s flash coupons lately have been mostly limited to a handful of select sellers, today only, they’re bringing back a truly sitewide deal. Promo code PSPRING20 will take 20% off nearly any $25+ eBay order (gift cards, real estate, and actual money are excluded, sadly), with a $100 savings cap. 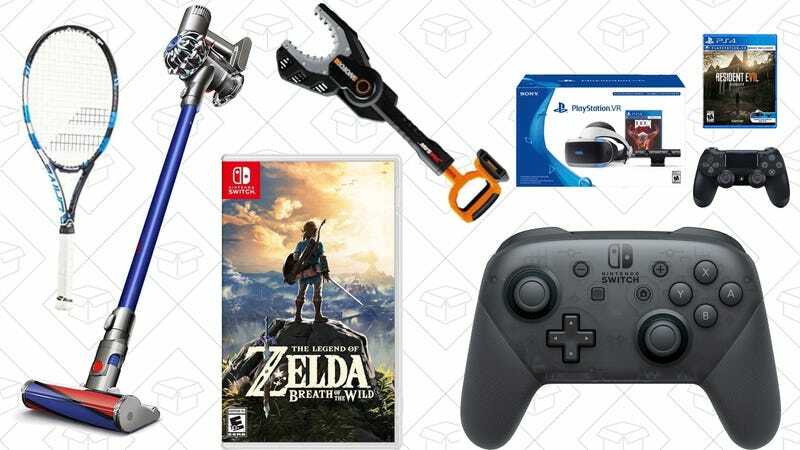 That includes everything from vacuums on Dyson’s official storefront (which are usually subject to a $50 savings cap), to video games from Best Buy’s eBay outlet, to that rare vintage comic book that you’ve been eyeing. It’ll even work on today’s eBay deal of the day - a PlayStation VR Doom bundle with a bonus DualShock 4 and a copy of Resident Evil Biohazard.